Submitted by peter on 12 March, 2008 - 18:02. Every once in a while something interesting happens in the Thai motoring world, but mostly the industry is boring. For the vast majority of main-streme car buyers in Thailand, the new car decision will come down to a choice of which letter they would rather have on the front of their car: a "T" or an "H". Submitted by peter on 11 March, 2008 - 18:38. Expect Thai model to be slightly less well equipped. The Fiesta looks classy and upmarket, easily trumping Japanese (and Malaysian) efforts in this category. Attention to detail is impressive in the Fiesta interior. Ford have done an excellent job. Ford will be competing head on with the Jazz with this super mini. The Fiesta deserves to do well. 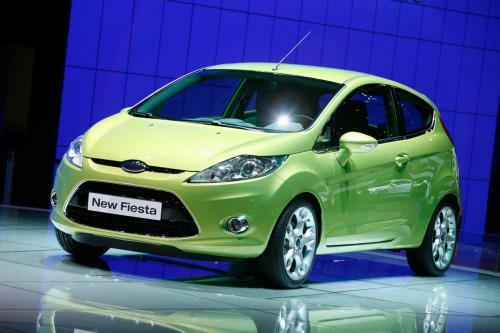 The new Fiesta is a completely different proposition to previous generations. It is actually very cool! The three door Fiesta is unlikely to make it to Thailand. Submitted by peter on 9 November, 2007 - 18:45. Ford Thailand has announced the introduction of a diesel Focus to the market, representing the first "affordable" C segment diesel car in Thailand. But, fans of diesel engines needn't get too excited, this is really just Ford testing the water. 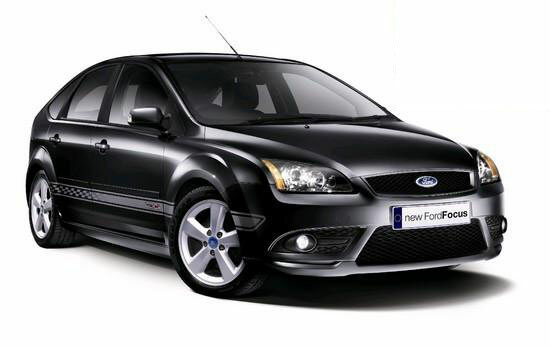 The Focus TFCi, featuring Ford's renowned 2.0-litre Duratorq TDCi turbo-diesel common-rail injection engine, will only be available in one colour - black - and it will only be available in one configuration with one transmission - a 6-speed manual. So far this is not particularly bad news, is it? A nice 6-speed manual box is part of what allows the car to achieve an impressive fuel usage of just 5.6litres/100km, and at least they choose black for the colour, and not ... pink or lime green. Submitted by peter on 27 June, 2007 - 21:24. Yes, there is an event called the 'Ford Mega Exciting Day', an official Ford Thailand event to mark the 11th year in Thailand for the company. And despite the name making it seem that it is a one-day event, it is actually a weekend deal. Submitted by peter on 27 November, 2005 - 00:07. Thailand is the second largest market for pickup trucks after the US! Sometimes this fact does damage to the country's efforts to draw in manufacturers like Renault who don't deal in pickups and so look at a 50% smaller market for their cars. But Thailand's love of the truck does more good than harm in attracting big automakers like Ford, who have recently named Thailand as their hub for the ASEAN region.